June 25, 2015 – There’s nothing more refreshing than an ice pop by the pool. These easy, breezy (and better-for-you!) 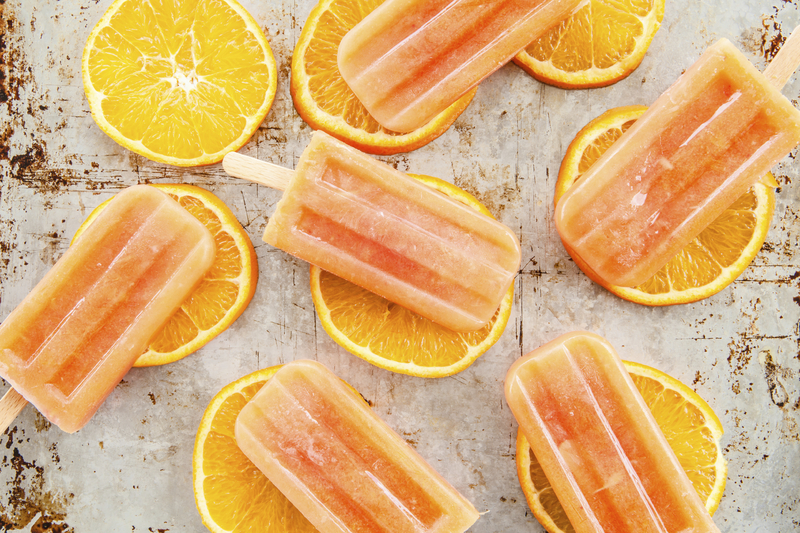 DIY ice pop recipes will give you that extra boost of energy you’ll need as you catch some rays. 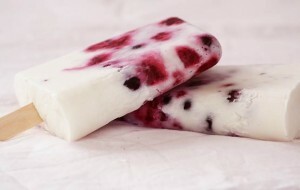 Frozen yogurt pops made with fresh berries will give you plenty of energy and keep you cool this summer as you snack on this flavorful treat. With protein from the yogurt and antioxidants from the berries, these are a suitable snack for any time of day. 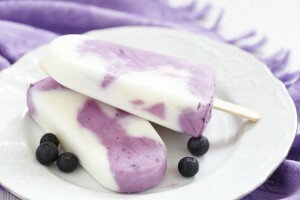 Take vanilla Greek yogurt, blueberries and strawberries, and pour into molds to freeze overnight. Voila! You’ve just created a smoothie on a stick! You won’t want to pass up this chocolaty delight on a hot summer day. 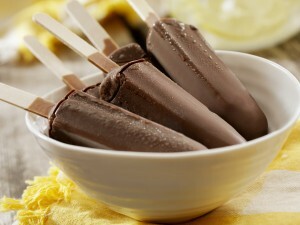 Make your own banana-nut ice pop by blending six large, peeled bananas and a ½ cup of hazelnut spread into a puree. Pour the ingredients into molds and freeze for about 3-4 hours. Feeling tropical? Get that island-sensation in the comfort of your own home with these coco-berry pops! It’s simple: Take ½ cup of coconut milk*, 1 of cup raspberries and 1 cup of blackberries and blend together. Pour into molds and freeze. Need some more vitamin C in your life? Mix 1 cup of water and 1 cup of sugar in a small pan and boil over a low heat. Once the sugar is dissolved, combine with 3 cups of orange juice, pour into molds and freeze. Throw in a handful blueberries for added flavor and texture! Turn your ice pops into a “poptail” by adding liquor to your ingredients. Add a spoonful of honey for an extra kick of sugar. Dixie cups work as a substitution for traditional ice pop molds. Summer Planner – I used to pick these up because they had recipes included, so a nice planner all-the-way around…having to go to the website…is simply …Something else to do. Glad I saved them because the new ones are not nearly as useful, mostly just more advertising, arranged nicely, but lacking a full planner ability. In the end…just more advertising…on the flip side, I won’t have to pick them up anymore, or find a place to store them. Won’t likely revisit this site either, I have tons of recipes, it was the simple …all-in-one-place-arranged nicely, fold it in my purse, carry it around convenience that is now gone. I don’t need more work to do!